Bangui (Central African Republic) (AFP) - Eleven out of 14 armed groups that signed last month's peace deal in Central African Republic (CAR) have demanded that Prime Minister Firmin Ngrebada step down, according to a statement seen by AFP Tuesday. "Firmin Ngrebada is no longer credible, he is therefore no longer our discussion partner for pursuing the process and must be replaced as prime minister," they said. Armed groups in the peace deal are attending a followup meeting in Addis Ababa under the aegis of the African Union. Their statement, which was dated Monday, called for the formation of a "government of national unity" and for "direct talks" with President Faustin-Archange Touadera. 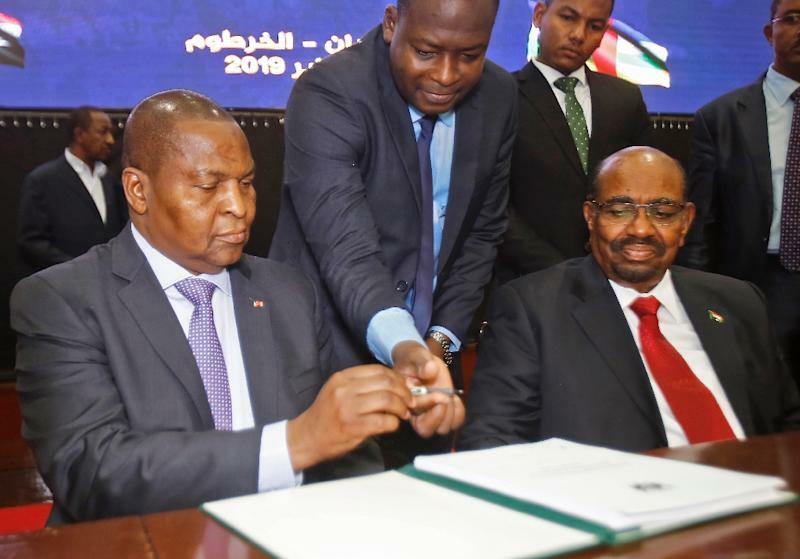 The peace deal was signed in the CAR capital Bangui on February 6 after it had been concluded in negotiations in Sudan. 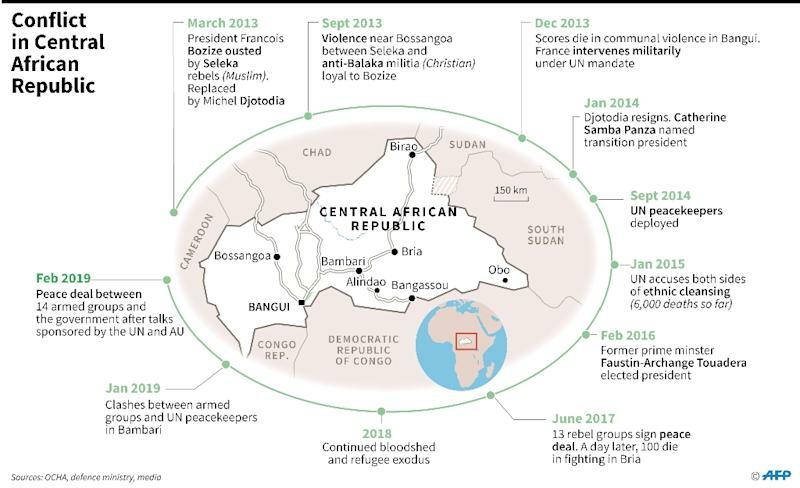 The pact -- the eighth since 2012 in the conflict-wracked, impoverished state -- brought together the CAR government and 14 armed groups who control most of the country. The new statement said the Khartoum agreement was "still valid" but the government that followed it was "stillborn". Its 11 signatories include two out of the three biggest ex-Seleka groups -- the Unity for Peace in Central Africa (UPC) and the Patriotic Movement for Central Africa (MPC). In Addis Ababa, the UA's commissioner for peace and security, Smail Chergui, who is also chief mediator in the follow-up meeting, tweeted on Tuesday that he had met with Ngrebada "to exchange views on opportunities for fast tracking implementation of the #RCA Peace Agreement".